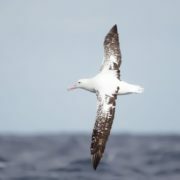 Albatrosses are the largest of all flying birds. 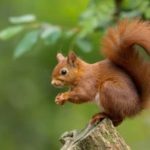 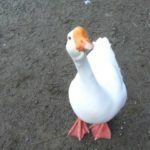 They can weigh as much as 11 kilograms. 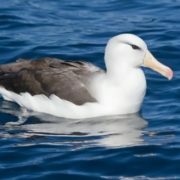 There are more than 10 species of albatross. 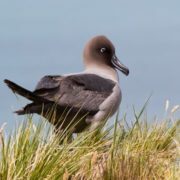 It has a big head, a hooked bill, and webbed toes. 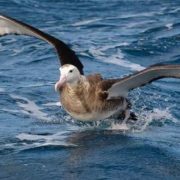 The albatross spends most of its life soaring above the water. 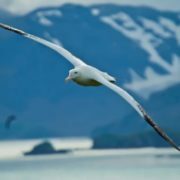 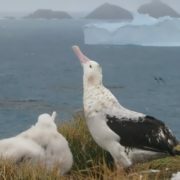 This amazing seabird goes ashore only when it lays eggs and raises chicks. 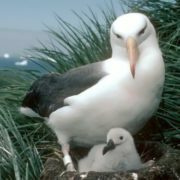 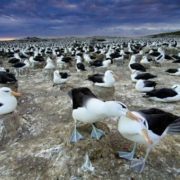 Albatrosses build nests on isolated Antarctic islands and lay a single egg. 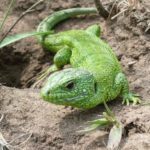 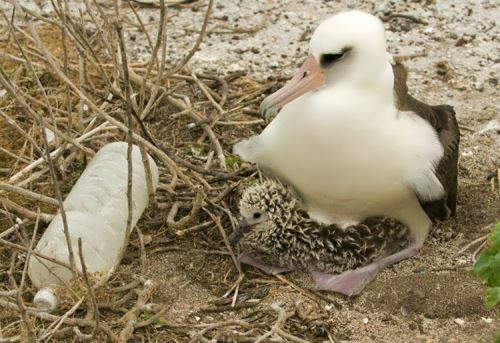 Both parents guard and incubate the egg for two to three months until it hatches. 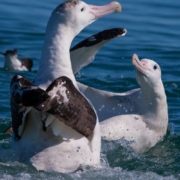 It takes at least four months for a young albatross to develop all the feathers. 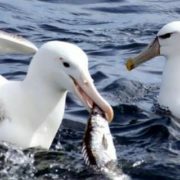 Adults feed their chicks a rich meal of oil, procured from their fishy diet. 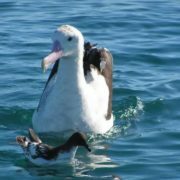 As a result, albatrosses have been called the “oil tankers” of the bird world. 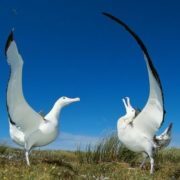 Albatrosses have an elaborate courtship ritual that includes dancing, stamping, and special greeting calls. 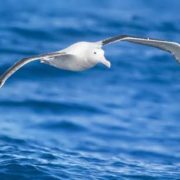 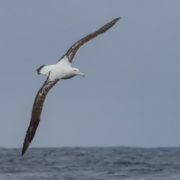 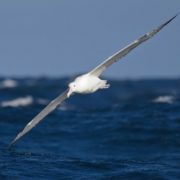 The albatross can glide for hours at a time, without flapping its wings. 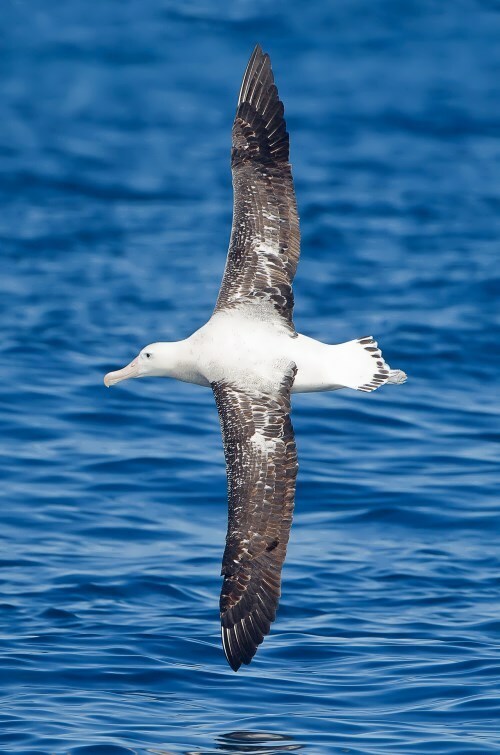 They have the greatest wingspan of any bird; the wingspan of the wandering albatross may reach 3.7 meters. 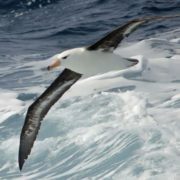 To take off albatrosses must run into the wind across the surface of the water or land, until they can hoist themselves aloft. 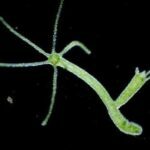 They sleep on the surface of the water. 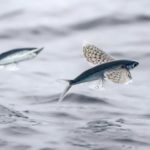 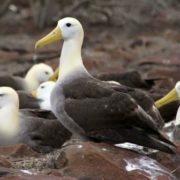 These birds feed on small squid and fish. 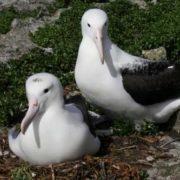 They can live up to 60 years. 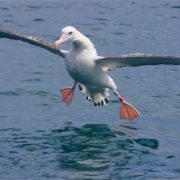 They fly over the South Pacific, Indian, South Atlantic and North Pacific oceans. 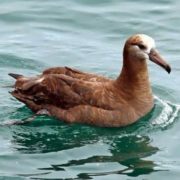 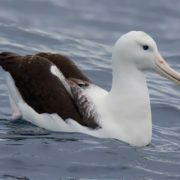 Some kinds of albatrosses are brown, but most of them are white with some brown or black markings on their bodies or wings. 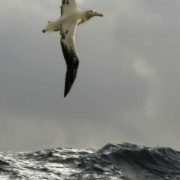 The navigational powers of albatrosses are impressive. 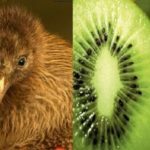 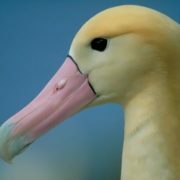 The most endangered species are the short-tailed albatross, the Amsterdam albatross, and the wandering albatross. 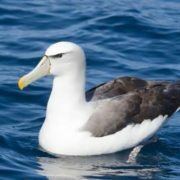 In the past, sailors believed albatrosses had special powers. 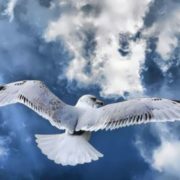 They believed that killing the bird would bring bad luck. 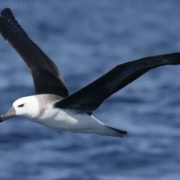 According to legend albatrosses are the souls of dead sailors.